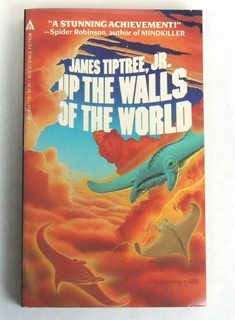 I read this book maybe 8-10 years ago, and it was in the well-worn sci-fi section of my library so I'd put it in the 80's-early 90's. It was in English and I feel like I remember a giant stingray(?) on the cover? All I can remember about the plot is that a human was reborn as one of the space stingrays that swim around this gas giant planet. I can't remember why he was doing it, just that a middle-aged guy was basically turned into one of these giant stingray things. when the oldest space stingrays die their bodies sink to the bottom of the atmosphere and block the energy coming off the planet, which is killing their species. I may not have made it clear enough; I'm not 100% sure they were stingrays. I am fairly sure there were references to the aliens being like some kind of sea creature, except existing in the air around the gas giant rather than water. My memory says stingray, but it may have been a shark or manta ray or something else. The guy didn't swap bodies into a 'ray, he was definitely "born" as one. I am fairly sure I remember a graphic-ish "birth scene" as his conscious, in an alien body, was birthed by a female/birther of the alien species. which was starting to disappear because all of their dead bodies were covering the surface, blocking the energy. Loss of energy = their species/way of life was ending. The more I think about it the more likely it seems that there was some kind of military subplot. I seem to remember it reading a lot like Ender's Game where the sci-fi plot was interspersed with a military, more "behind-the-scenes" story with political drama. I think I skimmed those sections pretty heavily as a kid because I found the space alien parts way more interesting, but I'm remembering that the guy had to get something from the aliens, which is why he'd been put in one of their bodies. Thinking about it this hard is bringing back some weird memories. I think when the guy was only a couple hours/days/weeks old he got to meet one of the "elder" rays. The elder had to be "pushed" up to the higher levels of atmosphere and it was this whole effort to get the guy low enough (weighed down by a larger-than-him ray) and the elder high enough (pushed up by smaller-than-him rays) that they could actually exist in the same space to have a chat. Could possibly be Manta's Gift by Timothy Zahn. It was published in 2002 so definitely within the time range that you read it but somewhat outside your estimated publication date. When Matt Raimey had his accident, he thought his life was over. He never dreamed, in his wildest fantasies, that he'd end up in a spot like this. In the toxic atmosphere of Jupiter, born into the body of an enormous creature that looked like a cross between a manta ray and a dolphin, he is living a new life, unlike any humankind had previously experienced. As far as the behind the scenes political conflict, this review gives a little more in-depth summary. The humans believe that the aliens have access to a stardrive capable of interstellar travel and the hidden motive behind their entire plan is to get their hands on it. However, Raimey isn't thrilled with their plan which leads to the conflict between the political and scientific leaders that you mentioned. The point about the the energy coming from the planet and the main character meeting an elder both sound familiar but I don't have the book on me and can't find any references to them online. 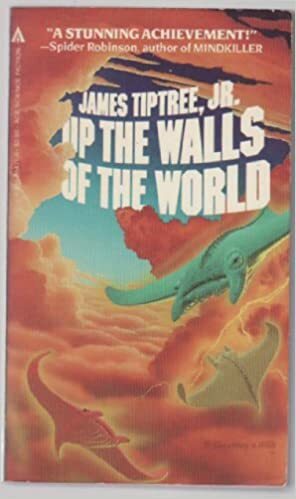 "Space Stingrays in a gas giant planet" certainly applies to James Tiptree Jr's Up the Walls of the World. It was published in 1978, at the low end of your suggested time span. Some of the covers featured space stingrays. Sadly, the plot points you recall don't match my fuzzy plot recollections too well; the space stingray planet is being threatened by some kind of Cosmic Entity, and the space stingrays want to escape by swapping their minds for those of humans. I don't remember any Space Stingray Graveyard blocking planetary heat. However, enough similiarities exist for me to offer this up. Not the answer you're looking for? Browse other questions tagged story-identification aliens space or ask your own question. Old sci-fi short story about alien “elixir” and lone astronaut losing sanity? Old sci-fi short story where protagonist is the lone survivor of a space passenger vessel that crashes on a semi-hostile planet?